Jessica L. Banks — Flute Instructor, Mississippi State University. 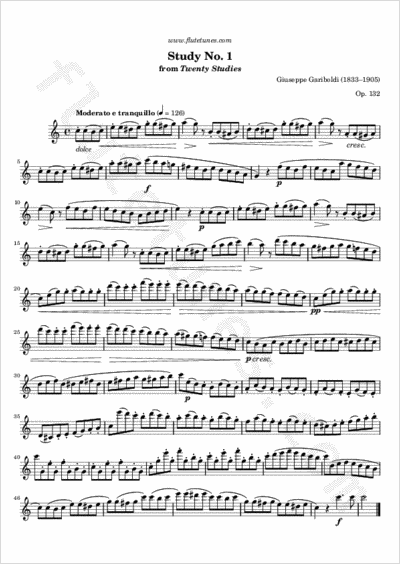 This is the first study from Italian flutist and composer Giuseppe Gariboldi's Twenty Studies, Op. 132. The piece is based on an extremely simple theme repeated at different heights, and on the alternation of staccato and legato articulation.